Not all fields from my Zoho leads are showing up in the connection drop down. Some custom fields and fields I modified are not showing up. Also, I have a field in my jotform that I have tried connecting to various fields in zoho but the information does not go through. The field is labeled "How much are you looking to get for your bag". 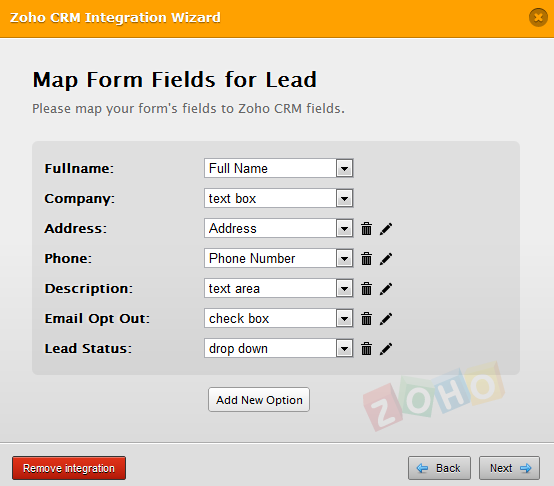 our Developers have already implemented ZOHO CRM integration with Text Areas, Drop Downs and Check Boxes. 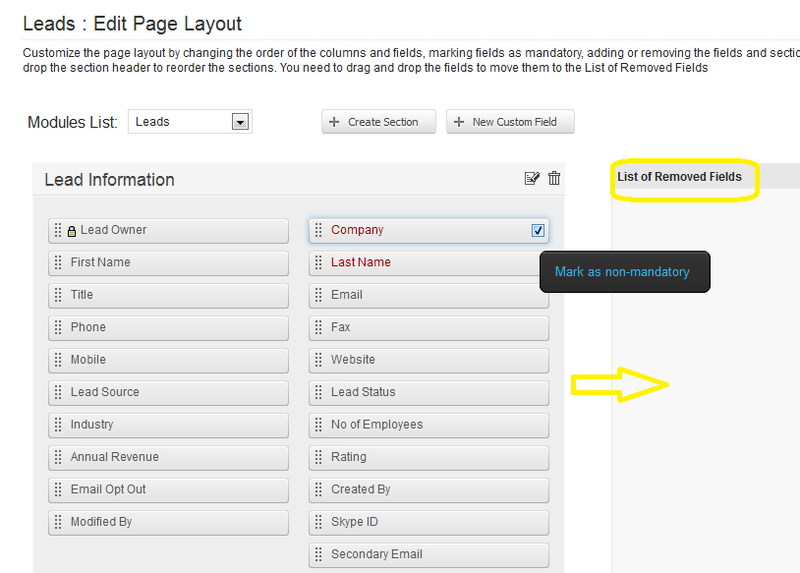 Additionally to what I have explained above, you can customize the fields in Zoho CRM to make them match to what you have in Jotform, you can even remove some of them.